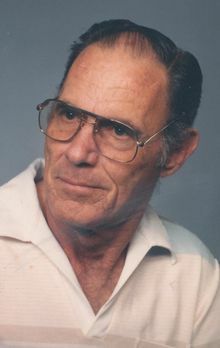 Thomas Joseph Dahill, 92, of Owensboro, passed away April 9, 2019 at Owensboro Health Regional Hospital. He was born November 30, 1926 in Far Hills, NJ, to the late Philip and Ellen Whelan Dahill. Thomas was a member of Garden Green Baptist Church. He retired from the United States Army after 22 years of service as a neuro-psychiatric specialist. At only 17 years old, Thomas began his military career participating in police action in Shanghai. Thomas defended his country in the Korean War and World War II and received the Good Conduct Medal and the National Defense Service Medal. After his retirement from the military, he worked as the district manager of Speedway Petroleum. Thomas loved to play music, whether it be on the guitar, banjo, mandolin, or accordion. He volunteered in music programs at various churches and nursing homes, and even played in multiple bands throughout his military career. His family will remember him for being a hard worker, and they will miss his sense of humor as he loved to make them laugh and smile. Thomas was preceded in death by his wife, Gloria Carter Dahill; sister, Mary Hynes; and his brother, Phillip Dahill. He is survived by his daughters, Pamela (Jeff) Shelton and Susan (Patrick) Cureton; son, Kevin (Victoria) Dahill; grandchildren, Steven, Jennifer, Jordan, Edward, Kahlan, and Sebastian; great-grandchildren, Gavin, Camdyn, Lillian, and River; and several nieces and nephews. The funeral service will be 2pm Saturday at Glenn Funeral Home and Crematory, with visitation beginning at 10am until the time of service. Burial will follow at Rosehill Elmwood Cemetery, with full military honors.